Congratulations on your engagement and upcoming special day! 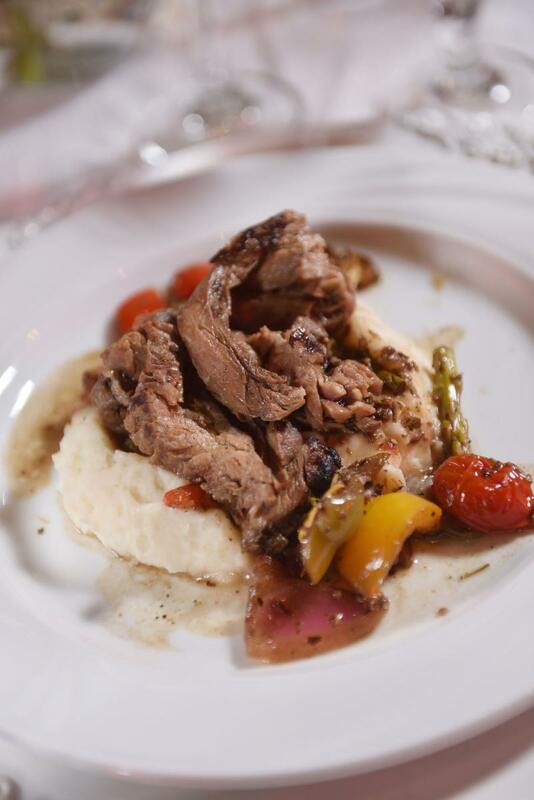 There’s a lot that goes into planning a wedding, but not to worry; Culinary Canvas Catering is here to help take the stress out of one of the most important events of your lifetime. 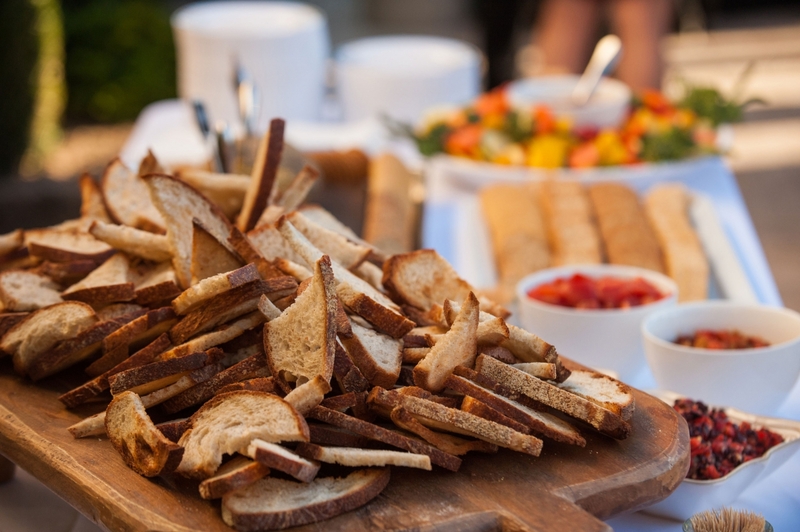 We are a full-service catering company that will provide the necessary ease in planning your event! 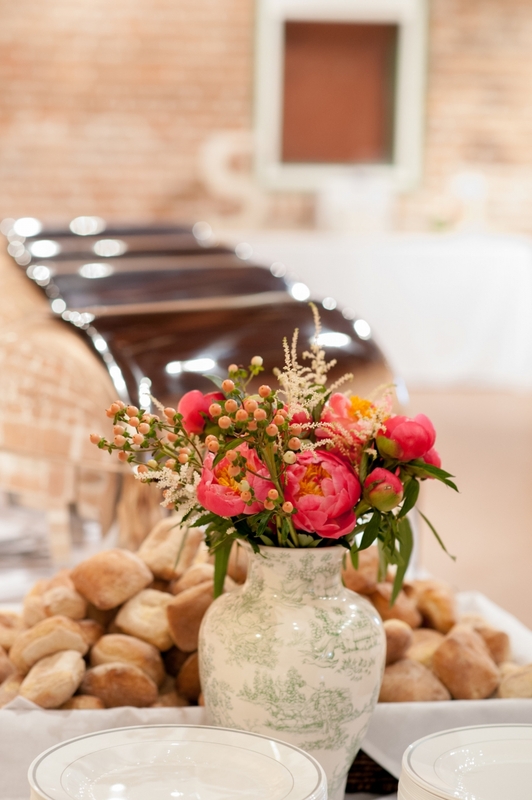 Leave it to our professional staff to plan your wedding reception! 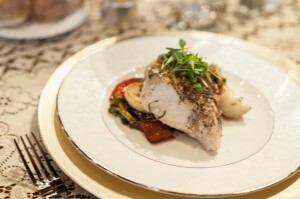 We offer the very best in comprehensive wedding catering. We’ve been helping brides and wedding parties plan out and execute a flawless reception for years. Our experienced wedding specialists will help you select the perfect menu, presentation, and everything in between. They will work with you to ensure all of your catering needs match your wedding plans to create one cohesive picture. Traditional-plated meals, an exquisite buffet spread, or social wedding services, we offer it all. Create your custom menu from our authentic Italian cuisines and other gourmet dishes. Each one uses only the highest quality local ingredients, including natural, grass-fed meats. Our goal is to make your cuisine just as beautiful and memorable as the day itself. We offer more than just catering services for the wedding reception. Click below to see all of our wedding services, including engagement parties, showers, bachelor and bachelorette parties, and more. This will be one of the most important days of your life. Don’t trust such a big responsibility to just any catering company. 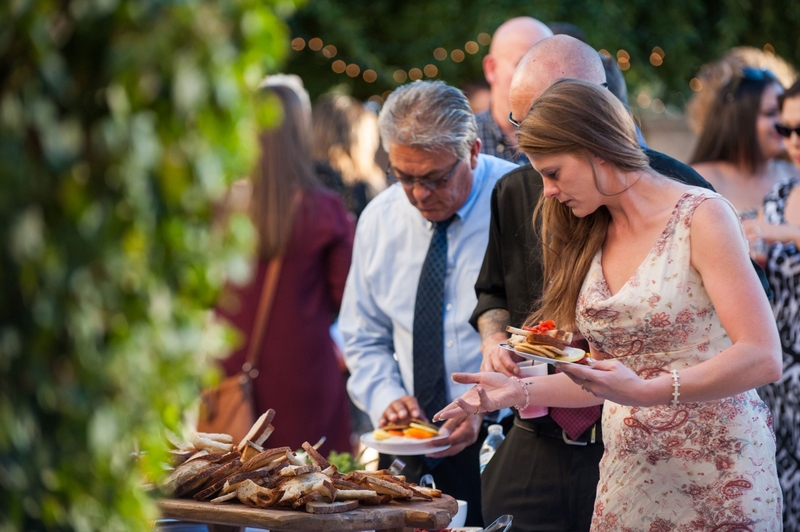 Let the professionals at Culinary Canvas Catering show you why we’re one of the most trusted wedding catering companies in Phoenix. Contact our professional catering consultants today. They’re ready to help fulfill all your wedding catering needs. 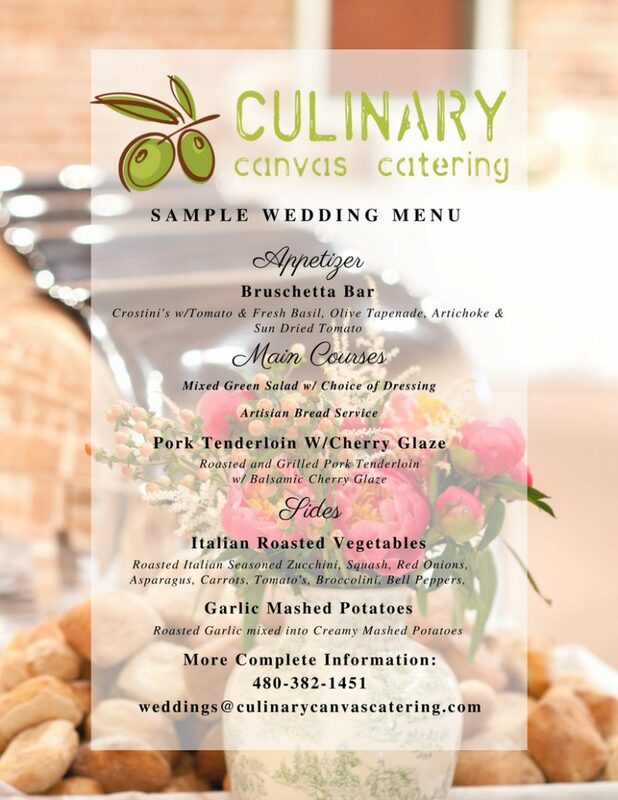 Call (480) 382-1451 or email weddings@culinarycanvascatering.com for more information.